International concerns such as slowing growth in Chinaand the Brexit vote in the U.K. played a major role in driving down mortgage rates in the U.S., according toFreddie Mac’s monthly Outlook for July. In fact, after the U.K’s vote to leave the European Union, mortgage rates continue to lower, closing the gap even more to all-time lows at 3.41%. This is likely to result in a boost in housing activity, particularly refinance, as homeowners take advantage of the current low rates, according to Freddie Mac’s report. “With the U.K.’s decision to exit from the European Union, global risks increased substantially leading us to revise our views for the remainder of 2016 and all of 2017,” Freddie Mac Chief Economist Sean Becketti said. The remaining quarters of 2016 should show an increase in Gross Domestic Product at 1.9% and 2.2% in 2016 and 2017. Due to these recent global pressures, Freddie Mac revised the 30-year fixed-rate mortgage forecast down by 30 basis points for 2016 and by 50 basis points for 2017 to 3.6% and 4% respectively. With this new drop in mortgage rates, the refinance share of originations will rise by 49% in 2016, an increase of 8% from last month’s forecast. That will be an increase of $100 billion in originations, bringing the total to $1,825 billion. This entry was posted in Lewisboro, Waccabuc NY, Westchester NY and tagged Lewisboro NY Homes, Waccabuc Real Estate, Waccabuc Realtor on July 22, 2016 by Robert Paul. The rising cost of residential real estate and a slowdown in the U.S. economy is making it harder to sell a house. Sales of new homes plunged in September to the slowest pace in 10 months, the U.S. Commerce Department said Monday, a sign that higher prices and sliding economic growth weigh on the housing market. New-home sales slumped 11.5 percent last month to a seasonally adjusted annual rate of 468,000, the lowest level since November of 2014. September’s drop ended a two-month streak of accelerating sales. Americans’ zeal for newly built homes took off this year, yet now appears close to having topped out. Solid hiring over the past three years has improved many family balance sheets, while rising home prices has returned equity to current homeowners now seeking to upgrade to new residential developments. Sales of new homes have soared 17.6 percent during the first nine months of 2015. The median sales price of a new home rose 2.7 percent last month to $296,900, the highest price level this year, according to Oxford Economics. “A stronger pace of sales will need to be seen for the recent stronger pace of single-family housing starts to be sustained,” said Ted Wieseman, an economist at Morgan Stanley. The slowdown has yet to hit sales of existing homes as drastically, but the September pullback in newly built properties was severe. This entry was posted in Lewisboro, South Salem and tagged Lewisboro NY Homes, South Salem Homes for Sale, South Salem Real Estate for Sale on October 26, 2015 by Robert Paul. Freddie Mac today released the results of its Primary Mortgage Market Survey® (PMMS®), showing average fixed mortgage rates reaching new 2015 highs heading into the holiday weekend and ahead of the June jobs report. 30-year fixed-rate mortgage (FRM) averaged 4.08 percent with an average 0.6 point for the week ending July 2, 2015, up from last week when it averaged 4.02 percent. A year ago at this time, the 30-year FRM averaged 4.12 percent. 15-year FRM this week averaged 3.24 percent with an average 0.6 point, up from last week when it averaged 3.21 percent. A year ago at this time, the 15-year FRM averaged 3.22 percent. 5-year Treasury-indexed hybrid adjustable-rate mortgage (ARM) averaged 2.99 percent this week with an average 0.4 point, up from last week when it averaged 2.98 percent. A year ago, the 5-year ARM averaged 2.98 percent. 1-year Treasury-indexed ARM averaged 2.52 percent this week with an average 0.3 point, up from last week when it averaged 2.50 percent. At this time last year, the 1-year ARM averaged 2.38 percent. This entry was posted in Katonah, Lewisboro and tagged Katonah Homes, Katonah Real Estate for Sale, Lewisboro NY Homes on July 2, 2015 by Robert Paul. Manhattan’s smallest apartments are fueling big gains in rents. The median rent in the borough jumped 8.9 percent last month to $3,375, according to a report Thursday by appraiser Miller Samuel Inc. and brokerage Douglas Elliman Real Estate. Costs for studio apartments climbed 10 percent to a median $2,351, while rents for one-bedrooms rose 9.4 percent to $3,400, both the highest in more than seven years of record-keeping. New York’s smaller apartments are luring new tenants entering an improving job market in the city, as well as those who can’t afford bigger homes. Would-be buyers who have been shut out of owning because of high prices and tight credit are also lingering as renters. Manhattan apartment prices jumped to the highest since their 2008 peak in the fourth quarter as buyers competed for a limited supply of homes. Demand was greatest for one-bedroom apartments, which accounted for 38 percent of all sales last quarter, Miller said. A strengthening job market is also fueling housing demand. New York City’s private sector added 112,300 jobs in the 12 months through January, and the unemployment rate fell to 7.1 percent that month from 8.3 percent a year earlier, the New York State Labor Department said Tuesday. While employment is improving, incomes aren’t rising as fast as Manhattan rents, leading tenants to seek affordability by finding smaller spaces, Gary Malin, president of brokerage Citi Habitats, said in an interview. “Smaller apartments are drawing more attention because there’s more of an appetite for those price points if there’s only a certain amount of money you can afford to spend,” Malin said. Citi Habitats, which also released a report today on the Manhattan rental market, said the average rent for a studio increased 5 percent in February from a year earlier to $2,150. Rents for one-bedroom units climbed 3 percent to $2,893. Rents declined at the higher end of the market. Two-bedroom units fell 2 percent to $3,957, and three-bedrooms dropped 1 percent to $5,133, Citi Habitats said. This entry was posted in Katonah, Lewisboro and tagged Katonah Homes, Katonah NY Homes, Lewisboro NY Homes on March 12, 2015 by Robert Paul. This entry was posted in Katonah, Lewisboro, Westchester NY and tagged Katonah Homes, Katonah Luxury Real Estate, Lewisboro NY Homes, Westchester NY on April 7, 2014 by Robert Paul. The global real estate market in 2039 will be city-centric, with an increased focus on Asia and other emerging markets, and more investment by the public, according to senior executives at some of the world’s largest investment firms. The big money sees China, India and other Asian markets as drivers of real estate growth—and investment opportunities. A common criticism of Asian economic growth is the relative disregard for the environment. That concern could be a long term investment opportunity, such as taking advantage of high pollution in China, according to LaSalle Investment Management, a $47.6 billion real estate investment firm. “Although China will be switching over to renewables by 2039, concerns about unhealthy air will be so intense after two decades of respiratory diseases that they could likely pioneer buildings with filtered air, oxygen supplements and artificial light to replace lost sunlight,” said Jacques Gordon, LaSalle’s head of global research and strategy. Key to Asia’s rise in real estate will be the increasing importance of its urban centers, a global theme. This entry was posted in Katonah, Lewisboro and tagged Katonah Homes for Sale, Katonah NY Homes for Sale, Lewisboro NY Homes, Lewisboro Real Estate on March 24, 2014 by Robert Paul. 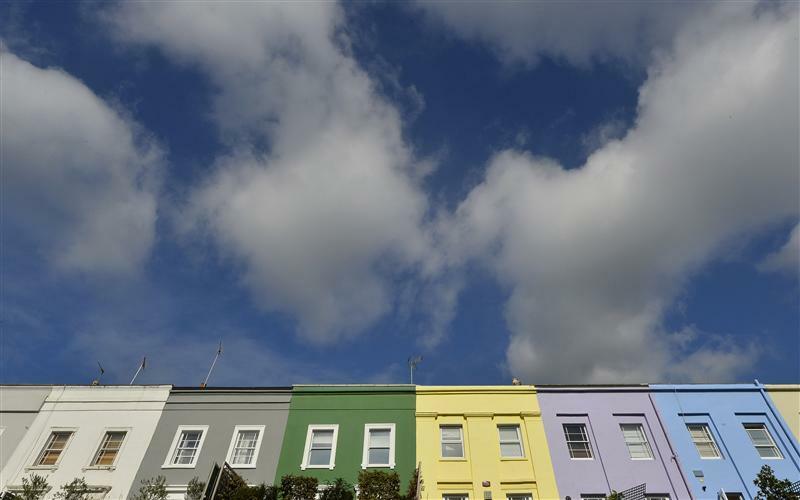 London house prices surged this month, helping national values post their best annual increase since before the financial crisis, Rightmove Plc said. Asking prices in the U.K. capital jumped 5.2 percent to an average 541,313 pounds ($905,500) from January, the operator of Britain’s biggest property website said in a report today. On the year, they rose 11.2 percent. Nationally, values rose 3.3 percent from the previous month and 6.9 percent on the year, the best annual performance since November 2007. This entry was posted in Katonah, Lewisboro and tagged Katonah Homes, Katonah Luxury Real Estate, Lewisboro NY Homes on February 18, 2014 by Robert Paul. Passive Solar Design: Creating Sun-Inspired Homes – Green Homes – MOTHER EARTH NEWS. This entry was posted in Katonah, Lewisboro and tagged Katonah Homes, Katonah Homes for Sale, Katonah Luxury Homes, Lewisboro NY Homes on February 15, 2014 by Robert Paul. A beautiful home is not only achieved through stylish interior design, but also through smart lawn care. Your lawn is the first thing that people notice about your home. Keeping a clean and healthy-looking lawn demands a lot of time and maintenance that may seem like a full-time job. In the fall you will want to have a 4 stroke leaf blower, to make it easier to get rid of all those leafs. To achieve a lush green lawn, you need to commit to mowing it on a weekly basis to prevent the grass from turning yellow and dry. Lawn mowing also keeps your grass from growing too high and thwarts pests (e.g. weeds and animals such snakes and other vermin) from invading your yard. Know when to feed your lawn and stick to the seasonal feeding schedule. Do not feed your lawn daily so the grass will stop growing faster. Don’t overuse your lawn mover. Allow a healthy growth of herbs in your lawn and use an effective lawn weed killer. When mowing the lawn, try to cut them a little longer and allow herbs such as thyme to grow. This makes the lawn look greener, especially during dry spells. Remove hard-to-mow areas or those areas that can’t be accessed by the mower. If you want to easily maintain your lawn, especially these tricky areas, consider using gravel to give your lawn more dimensions. Get a high-powered mower that can do heavier tasks for you. Look for a machine that does most of the work in a single press of a button. Leave some of the cuttings, but not all of them. These will provide enough nutrients in the soil and will help the grass to grow stronger and greener. This entry was posted in Katonah, Lewisboro and tagged Katonah Luxury Homes, katonah ny luxury homes, Lewisboro NY Homes, Westchester NY Homes on February 14, 2014 by Robert Paul. Houzz Tour: Caretaking a Handsome Yonkers Foursquare. This entry was posted in Katonah, Lewisboro and tagged Katonah Homes for Sale, katonah ny luxury homes, Lewisboro NY Homes on February 2, 2014 by Robert Paul.